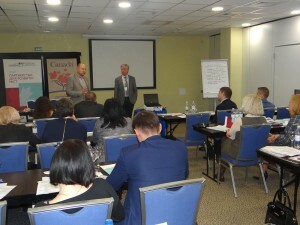 The delivery of administrative services is one of the most important local government activities. 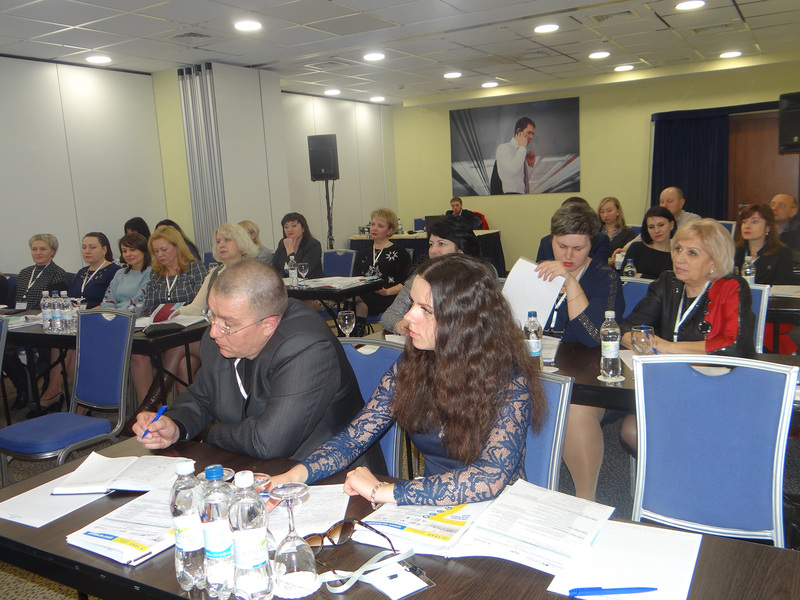 Throughout the year 2017, PLEDDG Project experts had been making an assessment of the delivery of public services by Administrative Service Centers in each of PLEDDG partner cities, with reports and guidelines prepared as appropriate. 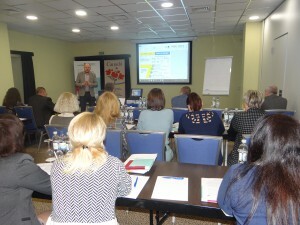 PLEDDG Project experts found out that there was lack of opportunities to exchange experience and best practices between local government specialists as regards the delivery of public services and the functioning of Administrative Service Centers. 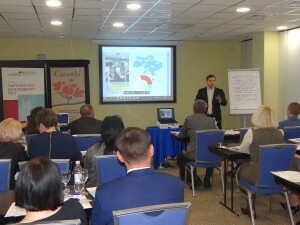 On February 21-22, 2018, PLEDDG Project organized a training session for representatives of local governments and Administrative Service Centers from partner cities on “Practical Aspects of Due Administrative Service Center Functioning” with the aim to facilitate an exchange of knowledge and experience in the context of the delivery of public services and Administrative Service Center’s operation. 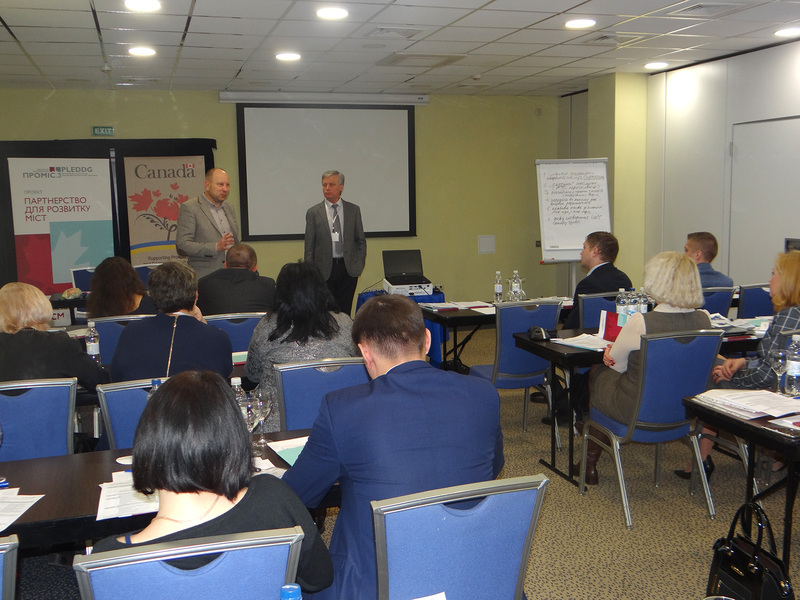 The training was moderated by Ihor Lepyoshkin, PLEDDG Senior Expert, Head of Experts Group, and Ihor Bryhilevych, PLEDDG Project Consultant. Participants discussed essential aspects of the development of the public services sector, in particular, the general conditions and practical aspects of the delivery of public services through an Administrative Service Center, the state of premises, infrastructure, staff, back office performance, a public services provision automatization program, conditions for people with disabilities, as well as conceptual documents for development of the public services delivery system. Oleksandr Kamenchuk, Head of the Department of Administrative Services of the Ministry of Economic Development and Trade of Ukraine, spoke about the state policy on Administrative Service Centers and cooperation with central executive authorities with regard to public services.